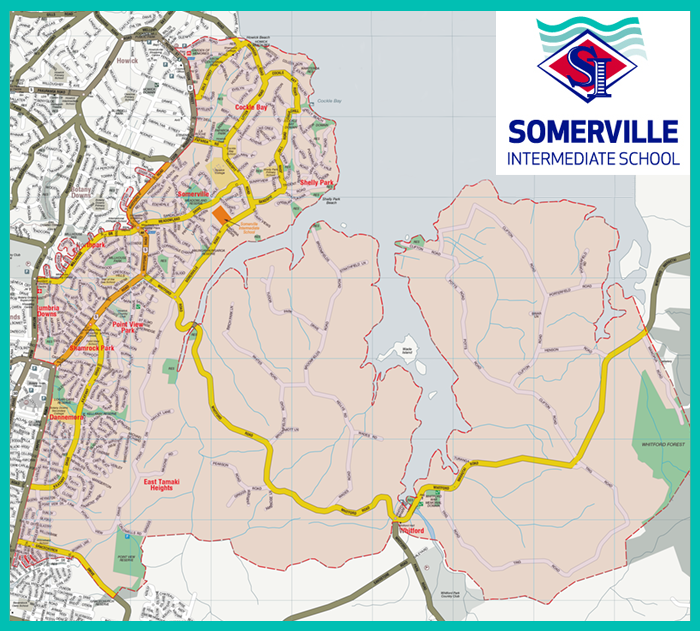 Pursuant to Section ii of the Education Act 1989, Somerville Intermediate School Board of Trustees pursuant has adopted an enrolment scheme. To enable the Secretary of Education to make reasonable use of the existing network of schools. The zone map is a guide to our school's zone boundaries. Please move your mouse across the map to view the streets close up.